While it may be pretty chilly out in DC, I still find myself finding different ways to layer and add pops of color to my daily outfits. 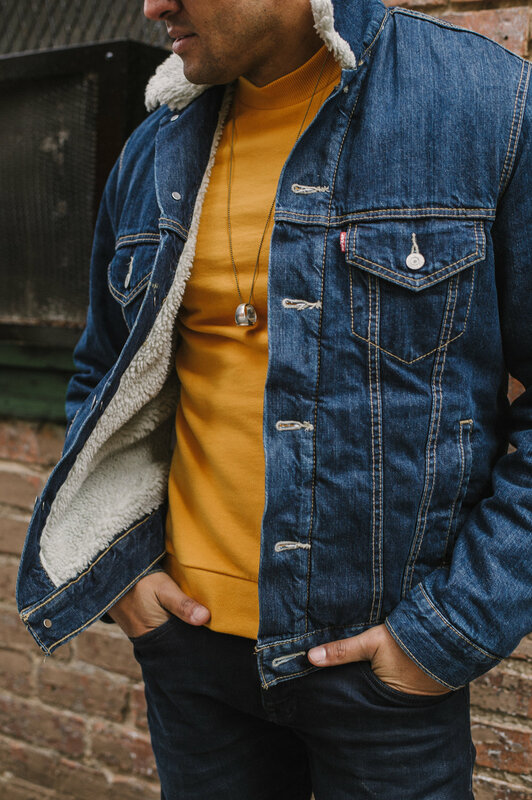 On this particular day, I really wanted to wear denim on denim (I've recently been wearing this Levi's denim trucker jacket pretty much everywhere I go), but wanted to break it up by wearing a color I don't typically wear, which I found out actually looks pretty good on me, yellow. I recently visited the COS store in Georgetown and found this uniquely cut yellow sweater which I really liked. 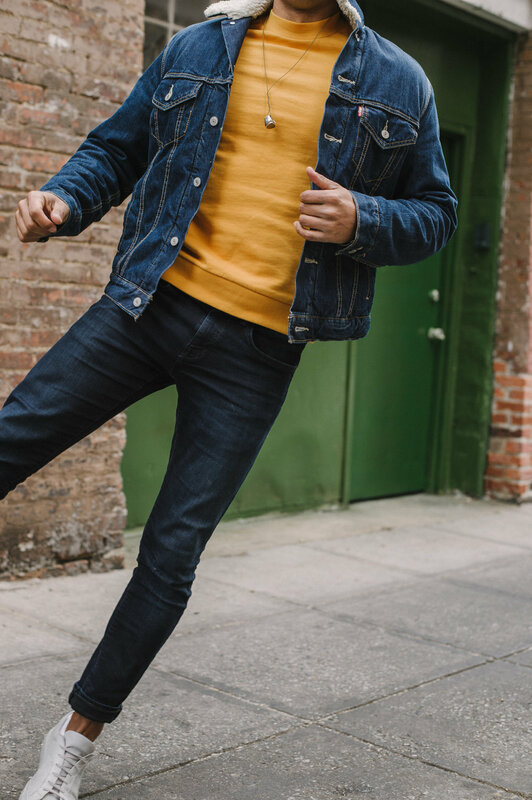 While yellow might not be your particular color, feel free to pair up an all denim outfit with a bright blue or event white sweater underneath. Add something to break up the denim story. I paired the outfit with some Common Projects sneakers. For accessories, I paired it with a Giles & Brother cuff and Scosha ring I put on a vintage necklace chain I found in Philly during a recent trip. Since I pretty much never leave the house without a pair of sunglasses, I grabbed a classic black pair of Le Specs shades I got at the REDEEM boutique on 14th Street NW. How do you break up a denim wardrobe? Do you have a go-to color you fall to?